From the chapel to the library to the laundry facility, our many amenities will help you feel at home during your visit to Egleston hospital. We want your visit to go smoothly from the moment you arrive until the moment you leave Egleston. If you have questions or need help with any nonmedical issues, you can reach a hospital liaison or concierge by calling ext. 25 from any hospital phone. Concierges are available Monday through Friday, from 6:30 a.m. to 8:30 p.m., and Saturday and Sunday, from 8 a.m. to 7 p.m. The Hospital Happenings newsletter, delivered every Monday, lists activities for patients and their families. You also can get it at Volunteer Services on the first floor or by calling ext. 56180. View the newsletter on TV on Channel 6. A Wells Fargo ATM is located on the first floor. Each patient room, except the Intensive Care Unit (ICU), has its own bathroom, which parents can use. Parents of children in the ICU may use bathrooms and showers on the second floor in the Parent Lounge. Located on the first floor. Open 24 hours a day, seven days a week. Nondemoninational services are held on Wednesdays at 11 a.m., noon and 7 p.m., as well as on special occasions. See Hospital Happenings newsletter for service dates and times. You can reach a chaplain by calling the operator. Dial 0 from hospital phones. The Coffee Shop is located on the first floor and is open from 6:30 a.m. to 10:30 p.m., Monday to Friday. You’ll enjoy an assortment of breakfast, lunch and dinner items, as well as a full menu of coffee and specialty beverages. Our gardens, located outside on the first floor, offer a great place for parents and patients looking for peace, quiet and a breath of fresh air. Take a stroll on our lovely walking path, and look for special activities during nice weather. Remember, smoking is not permitted in the gardens. Before taking a patient outside, check with your nurse. Call ext. 56178 for more information. Lactation/feeding rooms are located on the second floor. Breast pumps are available for any admitted patient family. A lactation consultant provides support onsite every Monday to Friday. For more information, ask your nurse. Laundry facilities are located on the second floor just off of the Butterfly elevators in the family amenities department. If you need laundry detergent, you’ll find it available for purchase in the Gift Shop. Vending machines are available in this location. Don’t leave clothes unattended. Children’s is not responsible for missing or damaged clothes. HeLP is a project of Georgia State University’s College of Law, Children’s Healthcare of Atlanta and the Atlanta Legal Aid Society. HeLP’s goal is to improve the health and well-being of low-income children and their families through the combined effort of medical and legal experts. HeLP lawyers and staff offer free legal services to families with children receiving care through Children’s who are living at or below 200 percent of the Federal Poverty Level. HeLP provides legal assistance with civil legal problems, such as housing, domestic violence, child support, guardianship, education problems and public benefits. To contact HeLP, ask your child’s doctor, nurse or social worker for assistance or call ext. 52005. You do not need a referral from a doctor or hospital staff. Patients and families are invited to use the free services and materials at the Family Library, located on the second floor. There are books in English and Spanish, including health, educational and reference materials, children’s books, videos and DVDs. You’ll also find board games and puzzles. Computers are available for parents to use with Internet access, CarePages and medical database resources. The librarian is an excellent resource for medical information if you need more detail or have questions about your child’s diagnosis. The librarian will be happy to assist you with your research needs. You can reach the library at ext. 51611. Mail is delivered to patient rooms. The mailing address for Egleston is 1405 Clifton Road, Atlanta, GA 30329. If you need stamps, you’ll find them available for purchase in the Gift Shop. Newspapers can be purchased on the first floor. There is a safe in each patient room. The safe should be open when you arrive at the room. There are instructions on the safe for setting a new code, locking and opening the safe. If the safe is not open, if you forget the code or if the safe’s screen is not lighting up, call Security at ext. 56142 for help. Breakfast: 6:30 a.m. to 9:30 a.m.
Dinner: 3:30 p.m. to 8:30 p.m. Available from 7 a.m. to 8 p.m.
A 25 percent cafeteria discount is available to all parents of patients who are admitted to Children’s. A parent/guardian ID badge is needed to receive the discount. This discount does not apply to food from an outside vendor. If the doctor orders a special diet (diabetic, low-sodium) for your child, you will receive a diet-specific menu. The order will be approved by a nutritionist before delivery. Guest trays are available from Room Service. Your nurse or a Guest Services Liaison can deliver guest tray menus. Guest trays are delivered with the patient’s tray, unless a different time is requested or the patient is not receiving meals. For pricing and any other questions, call Room Service at ext. 56262. Mothers who are breastfeeding as the only means of patient nutrition may receive free meal trays for breakfast, lunch and dinner from Room Service or may receive a discount at the cafeteria. A nurse will alert Room Service and contact the mother with instructions. Georgia-certified teachers are available to help patients keep up with their studies. A teacher will usually come by within the first three days of a patient’s stay. Students report to classrooms located on the first floor, but teachers may visit patient rooms if a child is unable to go to the classroom. Classrooms have computers and textbooks. Parents should bring their child’s assignments and books to the hospital if possible. Teachers can also contact schools to get homework. The child’s school will receive a progress report and attendance note so the child will receive credit for work completed during his or her stay. Call ext. 51230 for more information. While our patients at Children’s are living inside hospital walls, they’re still curious about the outside world, and they want to stay connected to it. That’s why the Ryan Seacrest Foundation has its first-in-the-nation broadcast media center at Egleston. Seacrest Studios Atlanta teaches our kids about the exciting world of radio and TV broadcasting during their stay at Children’s. Superstar film and television actor Chris Pratt is just one of many big-name performers and celebrities who have visited our children at Seacrest Studios Atlanta. We’ve also welcomed American Idol finalists, Nickelodeon stars, athletes, musicians and local heroes. Seacrest Studios Atlanta is on the air every Tuesday, Wednesday and Thursday, from 2 p.m. to 6 p.m. in the lobby at Egleston. Patients in Egleston can come to the studio at those times to learn about radio, introduce songs over the air, record greetings and play games with other patients or interns at Seacrest Studios Atlanta. Some patients have even returned there to perform during a broadcast. Patients at Scottish Rite and Hughes Spalding can get in on the action, too, by tuning into the program on Channel 12 of their TV. 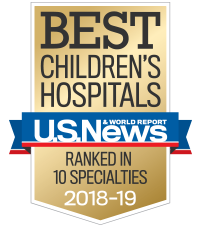 Any patient at Children’s can call Seacrest Studios Atlanta to request a song, ask a question of a special guest or do a shout-out to a favorite doctor or nurse. Soda and snack machines are located on the first, second, third, fourth and fifth floors.